Patients who take multiple medications often carry long lists of drug names, dosages and notes with them, in their purse or wallet. A visit to the doctor can frequently mean a change to that list whether it’s to increase or decrease dosage or add or eliminate a drug. Given the complexities of drug interactions, side effects and other considerations, it’s vital that your information be kept up to date and be ready to access without delay if you are sick or injured. It’s also important to make available information about any implants or devices you have. Doctors and paramedics may need to know if you have a pacemaker, ICD (implantable cardioverter defibrillator), coronary stents medical implant, breast or other artificial soft tissue implants. 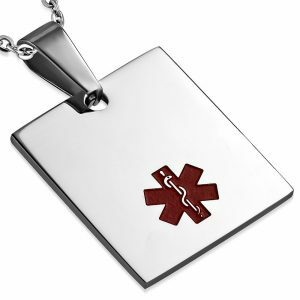 If you have a child, a partner, parent or other loved one who takes multiple medications or has an implant or other device, then organise a Quoll Medical Alert bracelet, necklace, dog tags or plastic wallet card for them too, for everyone’s peace of mind. In an emergency, communication of vital information is crucial! First responders (ambulance, paramedics, police and other emergency situation attendees) are trained to look for a patient’s medical ID. Help them to help you (or your loved one who is an organ transplant patient). 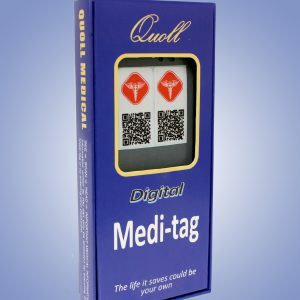 Simply by wearing or carrying a Quoll Medical Alert device, the information will be instantly available – not just medical information, but valuable data such as the patient’s name, address, next of kin and their contact details. If you are ever admitted to the ER of a hospital, the last thing you want is for your doctor to have to look up archives of your records or contact your pharmacist for a list of medications, which could be out of date and which will take time. So, even if your life is not in danger, there is still the time and convenience factor to consider and that also applies to the doctors and staff at the hospital. In the event you are rushed to hospital without your handbag, wallet, gym bag or other possession, where will your list of medications be? Imagine you are discovered at a bus stop unconscious, having suffered an adverse reaction to a new medication. Will the person who finds you think you’ve had a bit too much to drink? Passed out from a drug overdose? Your Quoll Medical Alert device will make the situation a lot clearer. When you have to fill out insurance forms, hospital admission forms and WorkCover application forms, you may be required to list your medications. Wouldn’t life be a whole lot simpler if you could access the information via your Quoll? You may need a diagnostic MRI but you have a heart stent or artificial heart valve. This is critical information for the technician to have. These are just a few suggestions of what you could experience if you take a list of medications for your health conditions. 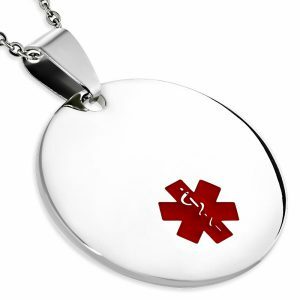 The nature of medical emergencies is that you never know what could happen to you on any given day. When you have a Quoll, you will enjoy the peace of mind of knowing you’re prepared. 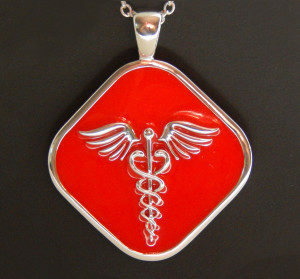 I love the medical necklace. 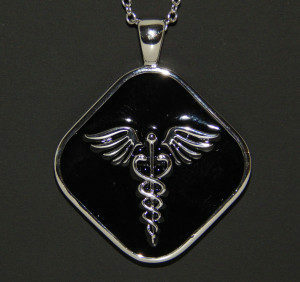 It looks great in black and I also love the ability to enter my medical conditions & medications into the database. That’s something you can’t do with a plain medical necklace. Our daughter gave us a pendant each. I think it is a fantastic gift as we would like to go on a holiday soon but have had some health issues of late. 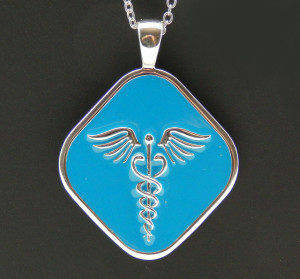 I congratulate you on the idea behind your Quoll Medical pendant. I have received mine and am very happy with it, as is my wife, who worried about my having an accident on my cycling excursions as an eighty-year-old, and having no ID on me. Thanks again for an excellent product. One of the paramedics from Boonah ambulance station went into the post office to ask if they could give him some brochures for Quoll so he could give them out to, as he put it: “people at risk of needing an ambulance”. He had apparently gone to a callout and the patient was on so many medications, he was presented with two shopping bags of pills. The patient had only bought a Quoll pendant a week before the call to 000 and the paramedic was able to scan the pendant and get the medications he was actually taking. This made it very quick and easy for the paramedic. He told the staff at Boonah LPO that the Quoll products were, in his words: “bloody brilliant and the staff needed to push it to all of their customers” as it made his job so much easier. I am very happy, and feel good that if anything were to go wrong, I would have no problem, getting the correct help I require. I have one for my intellectually disabled daughter, and have given the information to my Doctor, who was very impressed. They have tried the scan to see how it works and we’re very pleased. I was taken to hospital with severe heart pain. I am on multiple medications, the emergency doctors asked what medication was I on and I said I can’t remember them all. I told them I did have a photo on my phone but I wasn’t sure if it was up to date. They asked who my pharmacist was and phoned them for a list. This added an extra 20 minutes before anything could be done. 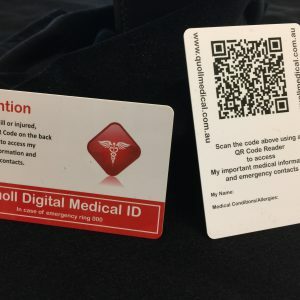 Since this happened, I have researched medical alerts and found the Quoll Medical Alerts products to be the only device that could hold all my information as it was held on a QR code and only needs to be scanned by emergency services. I have ordered a bracelet and will feel so much more confident if something happens to me again where I need to receive medical assistance. The patient can easily access their medications and allergies list. By scanning the QR code, they will gain instant access to the information that will help them know what to do. 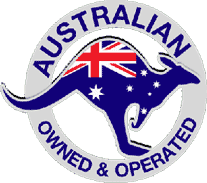 The Quoll Medical Alert device is the only product of its kind in Australia! Traditional devices display extremely limited information and cannot be updated. Your Quoll Medical Alert device contains a QR code that can be updated simply, every time your information changes. First responders are trained to scan the QR code to achieve instant access to vital details. 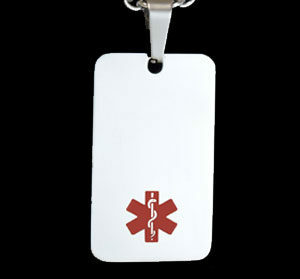 Store your identification details and information on your allergen/s, medical advice and next of kin contacts. Quoll serves as an emergency ID device so even if the emergency is not allergy-related, it can still be an absolute life saver. Your Quoll Medical Alert device will communicate clearly for you if you can’t. 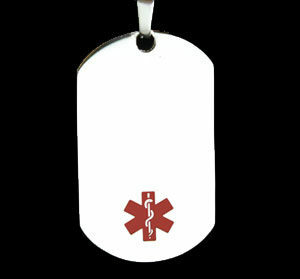 Choose from a medical alert bracelet, a medical alert pendant, a plastic emergency medical card or emergency ID dog tags. Quoll has designed these products to be fashionable yet recognisable.